Nestled in the backdrop of the mighty Western Ghats, Thushara International at Thusharagiri in Kodencherry is at a distance of 55 kms from Calicut, the land of the Zamorins. Thusharagiri, literally meaning "snow capped mountains" and affectionately called the Kodaikkanal of the south, the area is famed for its lush green vegetation, wide array of flora and fauna, enchanting waterfalls, dense forests and the presence of cool and captivating fresh air. Thusharagiri offers endless scope for trekking, rock climbing and wild life sanctuary visits that few tourist destinations in kerala can boast of. The added focus laid on this unique eco-tourism destination by the Tourism Department, Govt. of Kerala, has in a way helped promote this area to a large segment of potential tourists. It undoubtedly is the perfect holiday destination for the nature lover. 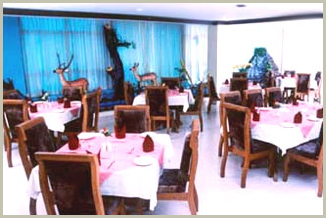 Catering to your taste buds, the Multi cuisine A/C restaurant with an artificially molded water fall inside, which make you feel as you are in the midst of a natural water fall. Enjoy your covers in a pleasant and smooth relaxable atmosphere where you can have authentic Indian, Chinese, Continental, Tandoor and Traditional Kerala Flavours. 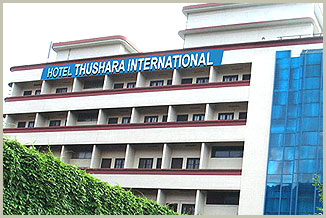 Thushara International boasts of having one of the finest bars where a wide array of Indian Made Foreign Liquor is served. Enjoy yourself in the cool confines of the Bar sipping your favourite drink be it a national or an international brand. The ambiance, the wide array of choices available and the impeccable service will definitely help you strike some good business deals or help you cement your social relationships. 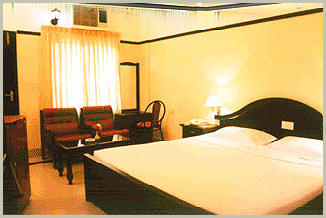 They have got 25 well furnished A/C rooms, of which four are suites. The rooms are in such a way that you can have a better view of green forestry and the thick mountains from the room balcony. They are having a laundry system and 24 hours room service for the convenience of the Guest.